Brighton & Hove Albion failed to take what would have been a huge step towards Premier League safety as they were held to a 1-1 draw by Huddersfield at the Amex this afternoon. In what was billed as a must win for the home side due to their tricky run-in, it saw honours end even with fellow survival bidders Huddersfield. 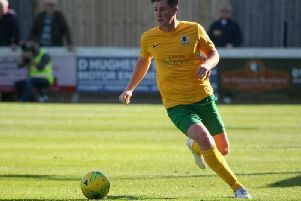 While a draw was not ideal for either side, it does favour Albion with their opponents still below them in the table with six games to play - especially as the home side had to play the last 15 minutes with ten men after a controversial red card for Davy Propper. Huddersfield, who won the reverse fixture before Christmas, also ended their goal drought, scoring for the first time in five matches to level after Albion had taken the lead through an own goal by goalkeeper Jonas Lossl after a Solly March effort came back off the post. The away side were given somewhat of a helping hand in doing so by defender Shane Duffy as he inexplicably played in Steve Mounie to round Maty Ryan and tap home - all before half-time. The hosts had the better chances to win it in the second period and that was despite Propper being sent off when going in for what looked like a 50-50 full blooded challenge with Jonathan Hogg. The result keeps Brighton 13th in the table and now seven points clear of the bottom three. Chris Hughton made two changes from the team that lost 2-0 to Leicester City at home last weekend with Solly March and Dale Stephens coming in for Jurgen Locadia and Beram Kayal. The home side should have led inside 30 seconds as Ezequiel Schellotto clipped one forward for Propper, who ran through one on one, but he fired wide as the Huddersfield defence raced back. In an all-action start, a Huddersfield break saw Terence Kongolo cross for Mounie, but his volley was straight at Ryan, who parried away. A deflected Aaron Mooy shot was then gathered by Ryan down on the turf, while at the other end, Glenn Murray glanced a header wide from a March delivery. On 13 minutes, a great one two between Murray and Jose Izquierdo saw the later go though, but Lossl was out to smother at his feet just outside the six-yard box. Albion led on 29 minutes and it was an own goal by Huddersfield goalkeeper Lossl. March's long-range effort cames back off the post and hit the goalkeeper and despite his efforts to get it away, the ball crossed the line. The lead lasted fewer than five minutes as Albion were eventually punished for what had been some lax passing at the back. Duffy the one punished as his attempted ball back to Ryan went straight to Mounie, who rounded the Albion keeper and tapped home. The first chance of the second half saw Lewis Dunk rise highest at the far post on 53 minutes, but his header from a March free kick went back across the face of goal and was cleared. A lovely flowing move from the hosts on the hour saw Propper tee up Stephens from a Gross cross, but the midfielder's effort was tipped over by Lossl. A frustrated Murray was replaced by Leonardo Ulloa just past the hour mark as Albion pushed for a winner. But a foul on the far side by Duffy, who had already been booked, on Rajiv van La Parra then saw the Huddersfield fans calling for a second caution and David Wagner was particularly unhappy on the sidelines that one was not shown. That changed with 15 minutes to play as Propper and Hogg both slid in for a 50-50 ball and the Albion man slightly caught his opponent and referee Anthony Taylor, after some deliberation, surprisingly brandished a straight red card. Beram Kayal replaced Pascal Gross to help shore up the midfield and the next chance actually went Albion's way. Ulloa slid Izquierdo in but he over-ran the ball and Lossl clawed it away, before Schelotto's shot was pushed over. Duffy then towered a header over the bar from March's delivery from the resulting corner. Deep into four minutes on added time Huddersfield had the last chance from a free kick, but it was put wide at the far post as honours ended even. Albion: Ryan; Schelotto, Duffy, Dunk, Bong; March, Stephens, Pröpper, Izquierdo; Gross (Kayal 76); Murray (Ulloa 66). Unused subs: Krul, Bruno, Baldock, Goldson, Locadia. Huddersfield: Lossl; Hadergjonaj, Zanka, Schindler, Kongolo; Ince (Depoitre 90), Hogg (Billing 79), Mooy, Van La Parra (Quaner 89); Pritchard; Mounié. Unused subs: Coleman, Smith, Malone, Lowe.